The most wonderful time of year is upon us! 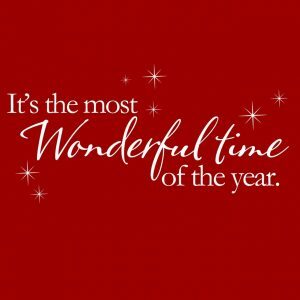 The holiday season is about joy, tradition, laughter and spending time with those we care the most about. The thought of hosting holiday parties, the neighbors over for annual gingerbread house making contest or having overnight guests can make the jolliest of us stressed out. These next two months will be filled with running around, buying and wrapping gifts, baking, cooking and not to mention all the extra fun commitments (school programs, church programs, etc.). It is easy for our homes to start to get messy and cluttered. To prevent this from a happening to you and turning the most wonderful time of year to the most stressful time of year, consider these 3 reasons to rent a self storage unit over the holidays! It might just be the key to keeping your stress levels down and your home clean and tidy. A storage unit can keep your home clutter-free and organized. First of all, a clean, organized and tidy home for not only your visitors but you and your family will help keep the stress down. Store items you do not need this holiday season in your unit to provide you more space for you and your family. A storage unit can create more space for guests. The Holidays mean more family and friends visiting often potentially staying the night for a few days. Don’t send them to the local hotel or VRBO. Instead the spare bedroom that you have been using for storage, clear it out and store it in your unit so your friends and family have a nice place to stay. Also, store extra furniture or items from your family room or kitchen in your unit to open up space where everyone can gather together. A storage unit can keep presents a surprise. We get it! Sometimes you just can’t wait until Christmas morning to unwrap your gifts. If you have a snooper rent a self storage unit to store your gifts. Furthermore, you could even set up a gift-wrapping station in the unit! Consequently Ridgefield Mini Storage have several unit sizes to meet your needs. Plus, with move in specials renting a unit can be more affordable than you think. Visit our website today to see our specials and sizes. Call and reserve your unit today 360-684-4549 !